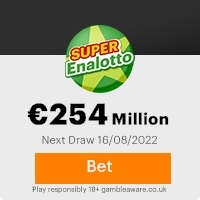 this promotion is proudly sponsored by the SWISS-LOTTO NETHERLANDS organization. approved for a lump sum pay out of � 750,000 Euros. commence the process to facilitate the release of your winning funds as soon as you contact them. extracted from over 800,000,000 companies and individual email addresses. avoid double claiming and unwarranted abuse of this program by some unscrupulous elements. Reference/serial number in any correspondences with us or our/your designated claims agent. This Email with the Subject "NOTIFICATION" was received in one of Scamdex's honeypot email accounts on Wed, 23 Jan 2008 15:48:04 -0800 and has been classified as a Generic Scam Email. The sender shows as SWISS-LOTTO NETHERLANDS <swisslottoemaildraw@yahoo.de>, although that address was probably spoofed. We recommend that you do not attempt to contact any persons or organizations referenced in this email, as you may expose yourself to scammers and, at the very least, you will be added to their email address lists for spam purposes.